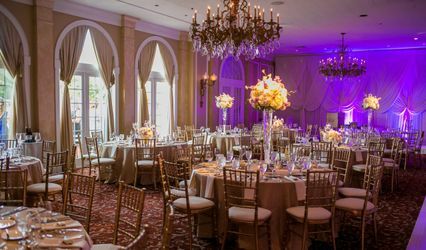 Divine designs & Events is a Chicago based firm which creates distinctive events for weddings, social gatherings, and many corporate functions. It uses an array of elements such as elegant ambience , interior design, experience, and passion to create chic, one of a kind events. 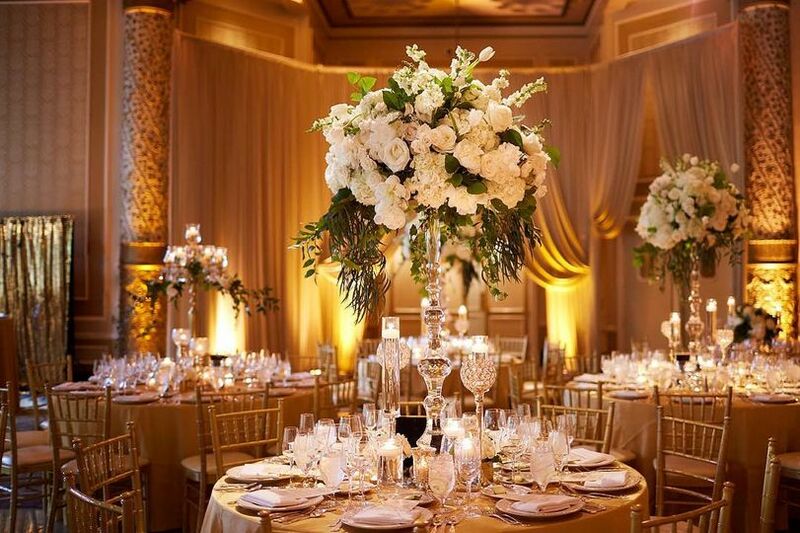 We provide a "boutique style" level of service with a team of professionals behind every event. Our staff is well qualified to assist you in any way you can think of. To discuss details of your upcoming , simply contact us for a free consultation! We promise to provide you with the best quotes and customer service ! 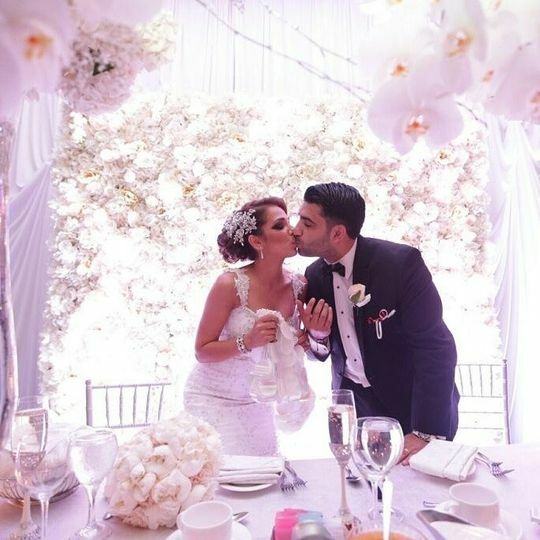 Maha and her team did a wonderful job with my beautiful bouquet and center pieces. 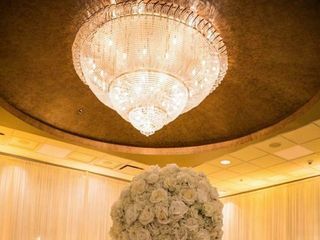 These details brought class and style to my special day and they really stood out in my wedding photos and videos as well. Maha was always responsive and made sure everything was exactly how I had imagined! I don’t even know where to begin. 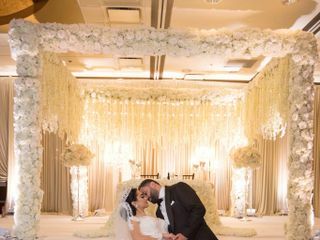 Maha absolutely turned my wedding visions into a reality. The decor was so beautiful. As an out of town bride, Maha accommodated my schedule very well, from emails to phone calls and messages. She worked with me as I continued to change my mind on decor ideas up until the week of our wedding. She was also honest in her opinion when I asked for feedback, that’s what I appreciated the most. If she did not think something would go, she told me and that helped me tremendously in making my decisions. She also surprised us with an upgrade on the mandap and some centerpieces which was super sweet of her. 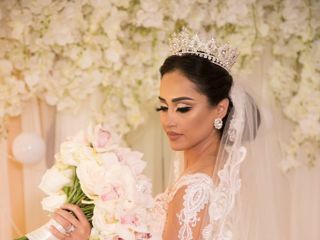 Maha, thank you for making my wedding so beautiful. 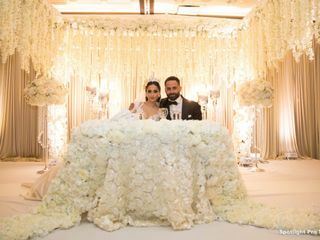 I will never forget the moment when I walked into the reception hall and was speechless with everything you and your team have done from the entrance to the mandap, centerpieces, draping and flooring. All what I could say at that moment was “WOW”. I was absolutely blown away with every single detail. 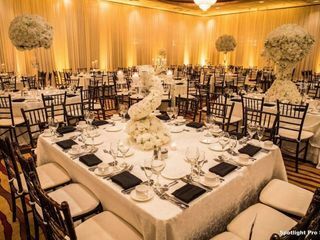 Maha was welcoming and involved from the beginning of the process of choosing our designs for an Indian wedding, including the mandap (wedding altar) and centerpieces, as well as bridal floral, bouquets, and garlands. 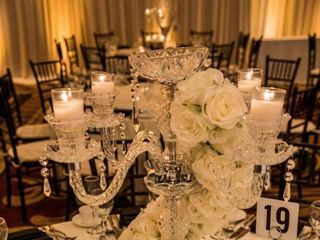 While it was one thing to see how she did a mock up with one centerpiece and the lighting, on the wedding day, upon entering the reception room, we were stunned at how beautiful it turned out. She was willing to experiment with different colors, concepts, and designs that weren't necessarily in her comfort zone and executed it perfectly. We had a nature-themed mandap that was simple, elegant, and just what we envisioned. Besides her elegant work, she was a warm person and that went a long way after having a bad experience with other designers. There is a reason she is now a master wedding planner- she puts a lot of love and care into what she does and the finished product is exquisite. We love you Maha! We couldn't have been happier with how our wedding looked. 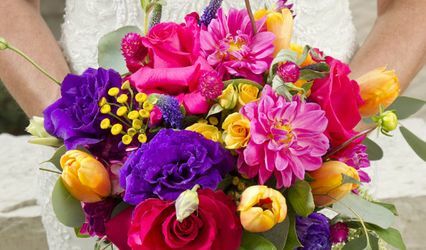 Special Wedding Packages : Flower Packages: Only $600 • Brides Bouquet. 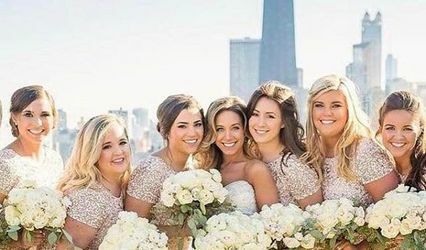 • 5 Brides maids bouquets. • 8 Grooms men boutonnieres. • 2 mother of the bride corsages. • Flower Girl Rose Petals. • Throw away bouquet. Additional arrangements are sold separately. 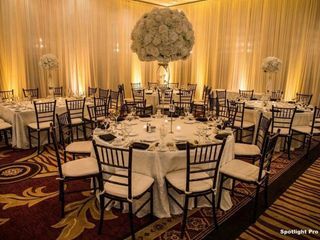 Additional Services: • Custom Theme décor • Table Linen • Fabric draping • Chuppah, Arch • Floral Arrangements • Seasonal Décor • Lighting • Column Systems • Sofa , Bride & Groom Chairs. Please contact us for additional Details and Packages !